Our Annual Booster Club Breakfast with Santa will be held on December 1, 2018 from 8am-11am. BUY Advanced Tickets – CLICK & SAVE! 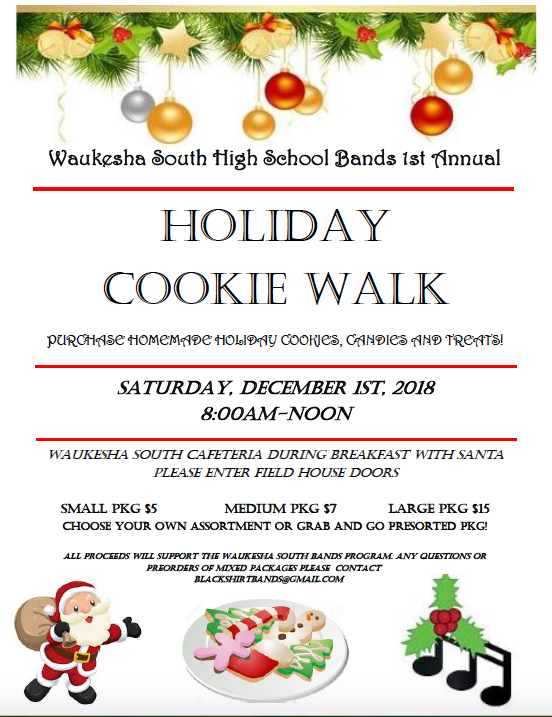 The Blackshirt Bands will be holding a Holiday Cookie Walk during the event. For more information, view their info page!